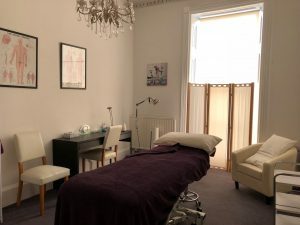 At Cheltenham Reflexology and Massage and Cheltenham School of Complementary Therapy & Beauty we have therapy rooms and spaces that we are able to rent out to local therapists, students and meeting facilitators. We are based on St Margaret’s Road, just up from The Brewery and a stone’s throw away from The Storyteller restaurant. There are plenty of car parks around us, making it easy for visitors to park. Our therapy rooms to rent in Cheltenham have a therapy couch and other equipment necessary for counselling, sports massage and more. If you are looking to rent a therapy room in Cheltenham call us on 01242 255440.